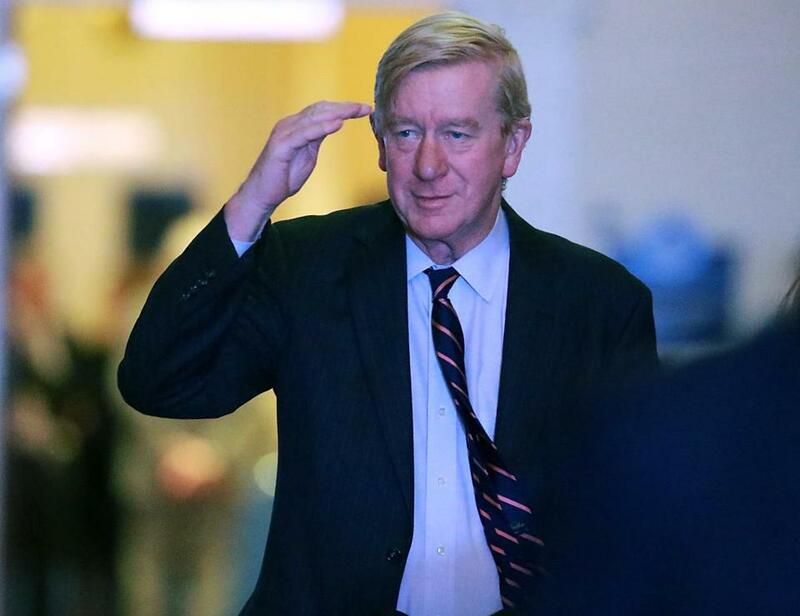 William Weld, the governor of Massachusetts from 1991 to 1997 (and the Libertarian Party’s 2016 nominee for vice president) was back in the news this past week for an unexpected reason: Along with former speaker of the House John Boehner, he’s joining the board of a marijuana company, Acreage Holdings. Acreage controls a medical marijuana group that has provisional licenses for dispensaries in the Worcester area and owns marijuana cultivation facilities and retailers in 10 other states. The Globe caught up with Weld at the end of a long day of press calls. Governor, why’d you get involved in this? I heard indirectly from John Boehner, an old pal of mine, that he was going to be doing this. And I was immediately attracted to it, really more because of my own background than because of my relationship with the speaker. I’d dealt with him on leadership issues back in the 1990s, but I’d also come out for medical marijuana in the ‘90s, for specific treatments — glaucoma, nausea for chemotherapy, that kind of thing. I’ve said for a long time that we should explore whether the active ingredients could alleviate symptoms and suffering. Now there’s new research showing it actually helps with cancer, schizophrenia, epilepsy, a lot of stuff. So for me it was an opportunity not only to create a company that has a commanding position in the industry but also to achieve a great social policy outcome. If we could get cannabis descheduled as a federal Class I narcotic, then research in 50 states could go ahead. 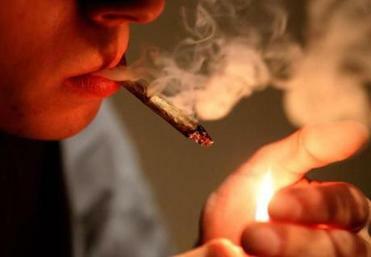 Some condo associations are prohibiting residents from smoking in their units. In Boston, Belmont, and Newton, a drug-sniffing dog is sometimes being called in. For me, it was a win-win. I get invited to join a lot of boards, believe me, but I jumped at this one. Some people have criticized Boehner for flip-flopping on this . . .
Yeah, I hadn’t identified him with this issue at all. But I knew him to be the sort of guy who could sort of go with the times. . . . The public support for medical marijuana is at 94 percent — that’s a record, and John sees that. How have your own views on cannabis evolved? I supported Question 4 in 2016, which was the first time I’d come out for full legalization. And as the vice presidential nominee of the Libertarian Party, I was happy to endorse it and descheduling in the 2016 campaign, as opposed to an industry in the shadows that nobody can tax and which fosters organized crime and blackmail and that sort of thing. It’s like alcohol prohibition in the old days . . . forcing people to transact or live in the shadows is not good policy, as a prudential matter. It’s not good for the cohesion of society. What’s your vision for Acreage? What we’re doing and about to do puts me in line for what [former CEO] Henri Termeer did with Genzyme. He pioneered rolling out these ‘orphan’ drugs that treated specialized populations and became something of a worldwide phenomenon. You could say that cannabinoids now are an orphan drug because of the scheduling of marijuana as a Class 1 narcotic. The number of conditions they could treat are in the hundreds, if not thousands. You were a federal prosecutor — did you pursue many marijuana cases, and do you regret any of them now? I did, but only very big ones. When I was US attorney, I said I was not interested in “buy-and-bust” cases for a few ounces of cocaine, much less a few ounces of marijuana. It’s a matter of prosecutorial resources and the gravity of events. Since then, I’ve moved considerably in the direction of thinking that possession of any drug shouldn’t be the subject of [prison] sentences at all. It should be treated as a national public health emergency. I lost a family member to the opiate crisis. What starts as perfectly legal in the doctor’s office becomes a gateway to fentanyl, which is a completely murderous drug. Now the thinking is that cannabinoids . . . could wind up being an exit drug from the ramp that leads to fentanyl, as opposed to the gateway drug we thought it was in the ’90s. I have never smoked a cigarette of any kind — and I blush to admit that, as a self-advertised, drop-dead Grateful Dead and Jerry Garcia fan. But you can be an honorary fan if you have a glass of Jack Daniels in your hand — or a true blue fan if you have a glass of Jack Daniel’s in each hand. Will you try it once it’s legal? I’d like to indulge you but it’s so long not been a part of my life that I think inertia will keep me on my present course. Although — if they make Jack Daniel’s illegal, I might reconsider my opposition. Have you closely followed the implementation of legalization in Massachusetts? What do you think of the equity programs that encourage the participation of people from communities with high arrest rates for drug crimes? Blacks are four times as likely to be arrested and incarcerated than whites. That’s not a good place to start in terms of having everybody view the law favorably and consider themselves full members of society. I haven’t seen much literature about having minorities partake in the fruits of the marijuana industry, but it strikes me as sweet revenge. That sounds like a good program.